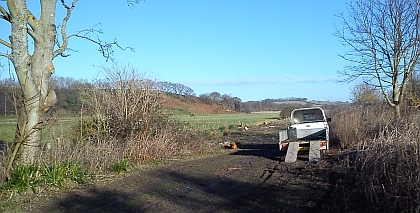 Over the last couple of weeks, some trees have been felled and ditches cleared along the PLPT’s NW boundary. The work has been undertaken by the owner of the adjoining land to protect fences from damage by falling branches and to improve drainage. Although this has resulted in the loss of some habitat, vegetation will soon return. 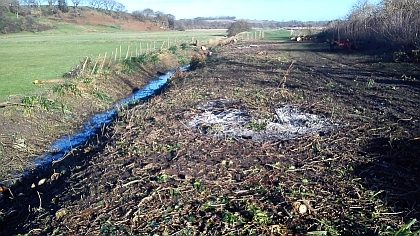 We have left areas of scrub and reed nearby but hope to graze this compartment with sheep in future.